How would you manage living without an important part of your body? 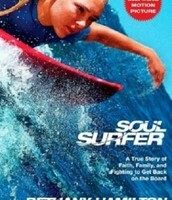 Bethany Hamilton (Anna Sophia Robb), who lost her arm, overcomes the odds and her fears of returning to surf again. On Halloween morning Bethany is bitten by a 14-foot tiger shark that came out of nowhere and destroyed all her dreams. The shark cuts her arm and she almost dies. 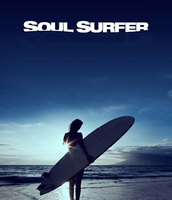 After this horrible experience Bethany doesn’t give up and tries to surf again.With the help of her parents, Tom (Dennis Quaid) and Cheri (Helen Hunt), and her best friend Alana (Lorraine Nicholson) she does the unbelievable and surf again. This inspiring true story is amazing and teaches us an important lesson, never give up. The actors in the movie are wonderful. We recommend this movie for teenagers and adults, there is no doubt you will love it! Bethany Hamilton (born February 8, 1990) is the serf, that Anna Sophia Robb play. Bethany, lost her arm when she was 13. Bethany win in the ESPY prize for the best comeback athlete. Hamilton recovered quickly, and in January 2004, two months after the incident, she returned to compete. In 2007 she became a professional. We chose to tall you about this movie because he tall us about very intarsting story. 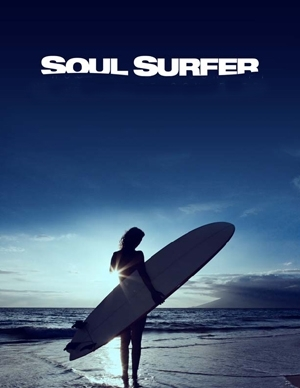 We admire the ordinary young girl that even she became cripple , she never thought to give up her ambishas .With help from her family, friends, and her special characters ,she succeed to surf again.If you want to find out what she did and how she do it you will need to see the movie. We do not agree with each ather when we chose the movie. We had a problems in the design of the work because it is the first time that we work with this digital tools.furthermore we had some differences idea .